Balsamic vinegar, a thick, viscous liquid traditionally made in only two small regions of Italy, has exploded onto the American market over the past 30 years, according to "Cooks Illustrated Magazine." If you're interested in losing weight, adding balsamic vinegar to your diet can help, as long as you take some precautions. Vinegar diets are nothing new. In fact, Lord Byron, a nineteenth-century nobleman, used vinegar to control his appetite, according to Dr J.H. Baron, a surgeon working at the Imperial College School of Medicine at Hammersmith Hospital in London. However, Byron was not exactly a paragon of sound nutritional theory. Baron reports that this troubled Englishman, who also used laxatives and vomiting to keep his weight dangerously low, probably suffered from an eating disorder. Byron's relationship with food may have been unhealthy, but he may have been onto something when he used vinegar to keep hunger under control. The acetic acid in vinegar may slow the passage of food out of the stomach, as well as keep high-carbohydrate foods from causing a spike in you blood-sugar levels, both effects that help you stay full, reports "Good Housekeeping" magazine. Balsamic vinegar is one of the best foods for dieters because it imparts flavor without calories. Good-quality balsamic vinegar has a rich, complex flavor, with hints of caramel, smoke, honey and raisin, and an aroma like fine port wine, according to the March 2007 issue of "Cooks Illustrated Magazine." That's quite a bang for your calorie buck when you consider that 1 tablespoon of vinegar contains a mere 20 calories. While balsamic vinegar makes a great addition to your low-calorie diet, don't overdo it. Vinegar is highly acidic, and drinking too much can irritate your throat. It can also interact with certain medications, according to MayoClinic.com nutritionist Katherine Zeratsky. 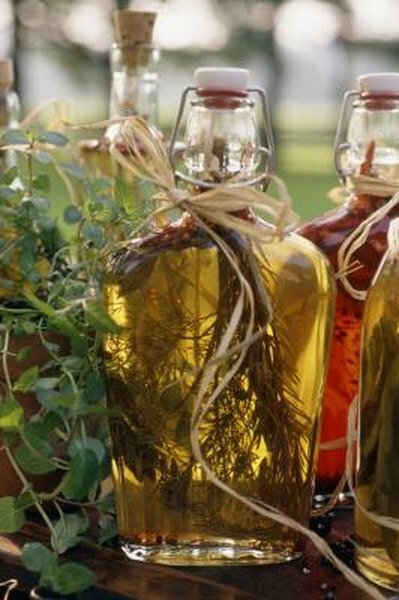 Talk to your doctor about your medications and whether or not they are compatible with vinegar consumption. Additionally, avoid “balsamic vinegar” diets that instruct you to live on smoothies or salads. If you don't get enough calories, your body can go into starvation mode, slowing your metabolism and hampering your weight loss. Please delete these three sections. The interface won't let me delete them and the only way I can submit this is by writing something here.